Mike Speck, former COO of The Halal Guys, was named CEO of Asian Box, a 10 unit fast casual chain based in California. Speck takes over from the Asian Box founder, Frank Klein, who will move into a brand ambassador role and focus on opening a new concept. Speck helped grow The Halal Guys from four to almost 100 units in three years and looks to lead Asian Box to future growth. 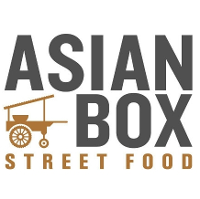 Asian Box was founded in 2012 and looks to expand outside of California through franchise partners. 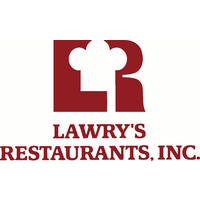 Ryan O’Melveny Wilson has been named Chief Marketing and Strategy Officer for Lawry’s Restaurants globally. Wilson, the fourth generation member of the Frank and Van de Kamp families to be an active member of Lawry’s, will oversee the 80-year-old brand’s revitalization beginning this fall together with his uncle Richard Frank, CEO & Chairman of Lawry’s Restaurants. Lawry’s has remained largely unchanged since Wilson’s great-grandfather, Lawrence Frank, opened the restaurant on La Cienega Boulevard in 1938. Under Wilson’s direction, its next era will feature a more diverse menu and dramatic design anchored by an expanded bar area and reinvigorated dining room, that simultaneously preserves Lawry’s rich history and signature tableside service. In addition to the revitalization, Wilson will lead all of Lawry’s marketing and product & business development efforts, and continue to manage the brand’s international licensees. Wilson’s new position is the latest in a career spanning 15 years with Lawry’s. He first worked at Five Crowns restaurant before embarking on a journey through Northern California and Italy to further his culinary education. Upon his return, Wilson became executive chef of the Tam O’Shanter in Atwater Village, and later served a critical role in the research and development of Five Crowns’ SideDoor gastropub. He was then the opening chef at Lawry’s Carvery at L.A. Live and Lawry’s The Prime Rib in Shanghai, China and Osaka, Japan. Most recently, he served as Lawry’s Vice President and Corporate Executive Chef, where he developed, directed and oversaw all culinary programs for the brand. He will take over in October for Keith Kinsey, who is retiring. Portillo’s on Monday named P.F. Chang’s chief executive Michael Osanloo the company’s new CEO. Osanloo will replace Keith Kinsey, who has been the 52-unit Portillo’s CEO since 2015, on Oct. 1. Kinsey is retiring. The private equity firm Berkshire Partners paid nearly $1 billion for the Oak Brook, Ill.-based Portillo’s in 2014. Kinsey was named CEO the next year. Under Kinsey, the company has quickly expanded outside of its Chicago home, opening locations in Florida, Wisconsin, Minnesota and central Illinois. Osanloo, meanwhile, has been with P.F. Chang’s since 2015. He has held leadership roles at Kraft Foods Group, Caesars Entertainment and Bain & Co.
Portillo’s has system sales of nearly $339 million, according to data from Technomic. Its unit volumes averaged nearly $7 million. First Watch announced today that Mel Hope has joined its executive team as the company’s new Chief Financial Officer. This week, the leading breakfast, brunch and lunch concept welcomed Hope, who brings decades of experience leading complex public organizations like Popeyes Louisiana Kitchen, Inc. as well as entrepreneurial start-ups. Hope will lead the company’s finance department and projects, including long-term strategic financial planning, transactional negotiations, financial reporting, P&L budgeting, and other corporate priorities, as necessary. Hope succeeds Paul Hineman, who worked for the organization for four years. While serving as Popeyes’ Chief Financial Officer for 10 years, Hope oversaw mergers and acquisitions, financial reporting and technology conversions. He worked alongside the company’s board of directors and senior management, to develop and implement the successful strategic plan that saw the brand’s market cap grow from $315 million to more than $1 billion while achieving five consecutive years of same store sales increases. Hope was most recently a partner in Genesis Real Estate Advisers LLC, serving as the company’s Managing Director and Chief Operating Officer. First Watch specializes in award-winning, made-to-order Breakfast, Brunch and Lunch. A recipient of more than 200 “Best Breakfast” and “Best Brunch” accolades, First Watch offers traditional favorites, such as omelets, pancakes, sandwiches and salads, and unique specialty items like Quinoa Power Bowls, Avocado Toast and the Chickichanga. First Watch was recognized as one of Business Intelligence Group’s Best Places to Work in 2018 and as one of Nation’s Restaurant News’ 2017 Second 100 restaurant brands. First Watch is the largest and fastest-growing daytime-only restaurant concept in the United States with more than 330 restaurants in 29 states, including more than 260 First Watch restaurants, 70 The Egg & I restaurants and one Bread & Company restaurant in Nashville. For more information, visit firstwatch.com. Nicolas Bernadi, CEO of La Boulangerie de San Francisco, today announced that industry veteran Gabriel Moreno will join the team as Sr. Director of Retail. Moreno brings nearly 20 years of experience building and growing businesses in quick-service, fast casual and full-service restaurants to his new role at La Boulangerie. He most recently served as Regional Director of Operations for Which Wich Superior Sandwiches, where he assisted the executive team in driving operational and financial results. Founded by world-famous French baker Pascal Rigo, La Boulangerie strives to bring a little taste of France to every customer every day. Using only the freshest all-natural ingredients, everything is made daily from scratch, from the breads and the pastries to the sauces and the salad dressings. It’s a neighborhood staple that is warm and inviting and committed to being an important part of its communities by being socially and environmentally responsible neighbors. Park recently announced that he and Staenberg made a substantial investment and acquired an equity interest in La Boulangerie. The team will initially focus on expanding the Garbanzo and La Boulangerie brands into new and existing geographic markets. In addition, they will be developing and proving-out internally generated concepts to address gaps in the dining landscape while exploring attractive acquisition opportunities. La Boulangerie is an eight-unit chain – known as much for its authentic French atmosphere as its mouthwatering, scratch-made pastries, breads and sandwiches – that has been a neighborhood staple in the Bay Area since 1995. For more information, visit laboulangeriesf.com. La Boulangerie: A Little Piece of France in Your Neighborhood. Famous Dave’s, an award-winning barbeque concept offering wood-smoked and off-the-grill entrée favorites, is excited to announce the addition of Sylvia Matzke-Hill to its experienced and invigorated leadership team. Earlier this year, Famous Dave’s launched a strategic plan to elevate its franchise offering with a refreshed menu featuring 23 new founder-inspired menu items, introduced its new restaurant design featuring a smaller restaurant footprint, as well as launched a revamped technology offering including online ordering and third-party delivery. Building on this momentous start to the year, Famous Dave’s recently brought on Matzke-Hill and her unparalleled experience in the restaurant and franchising space to continue to elevate the one thing that has remained part of the brand’s core since the beginning – it’s food. Matzke-Hill has been in the restaurant business since she was 16-years-old and employed at McDonalds. She attended the University of Minnesota and studied Food Science, and went on to work in both the restaurant space and business to business in roles at household names including Hardee’s, Denny’s, Ponderosa and Schwan’s. Most recently, Matzke-Hill spent 11 years with Buffalo Wild Wings on both the domestic and international teams. She spent most of her time evaluating the different cultures in the international markets where the brand was looking to open new locations, and then developing the menus to fit the preferences in each market. When an opportunity with Famous Dave’s presented itself, Matzke-Hill knew it would be the perfect place to continue to build her impressive career. Alongside Matzke-Hill is storied leadership team. Dave Anderson is leading the charge of innovation, focused on modernizing the franchise offering while still staying true to the fan-favorite concept that he founded nearly 25 years ago. Behind him, CEO Jeff Crivello is focused on bringing the right franchisees into the system and ensuring each and every one of them is positioned for success. Pairing the old with the new – founder and fresh leadership – Famous Dave’s is armed with a strong leadership team that is putting innovation on the forefront while staying true to the brand’s roots. For the remainder of this year, Matzke-Hill will be working closely with Anderson and Clark on different ways to leverage the smoker in the restaurant. Elevating familiar products into unique and innovative offerings will further enhance the cravable meal experience and provide Guests an expanded selection of hand crafted bbq goodness. Famous Dave’s of America, Inc. (NASDAQ:DAVE) was founded by ‘Famous Dave’ Anderson, whose passion for BBQ led him on a 25-year cross-country trek to find the best regional BBQ recipes in the country before opening the first Famous Dave’s in Hayward, Wisconsin. As of January 16, 2018, Famous Dave’s has 151 locations in 32 states and three countries including 16 company-owned and 135 franchise-operated restaurants. Famous Dave’s is known for its on-premise real pit smokers, scratch-recipe cooking, and 700 national and regional awards for everything from best ribs to best Bar-B-Que sauce to best cookbook. Famous Dave’s offers a wide variety of BBQ favorites including signature award-winning St. Louis-Style Ribs, Texas Beef Brisket, Georgia Chopped Pork, and Country-Roasted Chicken. Each seasoning blend was personally developed by Dave himself, after years of research and development to bring flavorful and authentic BBQ to his Guests. Scratch-recipes round out the menu with delicious sides and desserts that include meaty Wilbur Beans, Drunkin’ Apples, and Dave’s Famous Bread Pudding. For more information, visit famousdaves.com, facebook.com/famousdaves, or follow on Twitter @Famous_Daves. Certain matters discussed in this press release and other company communications constitute forward-looking statements within the meaning of the federal securities laws. Generally, the use of words such as “expect,” “intend,” “estimate,” “believe,” “anticipate,” “will,” “forecast,” “plan,” “project,” or similar words identify forward-looking statements that we intend to be included within the safe harbor protections provided by the federal securities laws. Such forward-looking statements may relate to projections or guidance concerning business performance, revenue, earnings, cash flow, contingent liabilities, resolution of litigation, commodity costs, profit margins, unit growth, unit level performance, capital expenditures, corporate governance, shareholder and other stakeholder engagement, potential future board composition, strategic decisions and actions, the ongoing cultural audit and investigation, share repurchases, dividends, effective tax rates, the impact of the Tax Cuts and Job Act and the adoption of new accounting standards, and other financial and operational measures. Such statements are not guarantees of future performance and involve certain risks, uncertainties and assumptions, which are difficult to predict and many of which are beyond our control. Therefore, actual outcomes and results may differ materially from those matters expressed or implied in such forward-looking statements. Our risk factors are discussed in detail in “Part I. Item 1A. – Risk Factors” in our Annual Report on Form 10-K for the fiscal year ended December 31, 2017. We undertake no obligation to update publicly any forward-looking statements, whether as a result of future events, new information or otherwise, except as required by law. Headquartered in Louisville, Kentucky, Papa John’s International, Inc. (NASDAQ: PZZA) is the world’s third-largest pizza delivery company. In 2018, consumers rated Papa John’s No. 1 in product and service quality among national pizza chains in the American Customer Satisfaction Index (ACSI). For 17 of the past 19 years, consumers have rated Papa John’s No. 1 in customer satisfaction among national pizza chains in the American Customer Satisfaction Index (ACSI). For more information about the company or to order pizza online, visit Papa John’s at https://www.papajohns.com/. Del Frisco’s Restaurant Group, Inc. (“Del Frisco’s”) (NASDAQ:DFRG) today announced Mia Meachem has been named Chief Marketing Officer, effective immediately. In this role, Ms. Meachem will be responsible for Del Frisco’s overall marketing, innovation and consumer engagement strategy. Ms. Meachem has over 20 years of experience in marketing, with a track record of success in a variety of luxury environments, including restaurants, retail and fashion. Most recently, she served as Chief Marketing Officer at Highland Park Village, where she focused on driving customer growth and elevating the brand’s identity and visibility, amongst other responsibilities. Ms. Meachem previously served in critical marketing roles at a variety of other companies, including Neiman Marcus Group, Burt’s Bees and Estée Lauder Companies, and has driven results throughout her career by engaging consumers via new products and services, experiences and digital initiatives. Based in Irving, Texas, near Dallas, Del Frisco’s Restaurant Group, Inc. is a collection of 84 restaurants across 24 states and Washington, D.C., including Del Frisco’s Double Eagle Steakhouse, Barcelona Wine bar, bartaco, Del Frisco’s Grille, and Sullivan’s Steakhouse. Del Frisco’s Double Eagle Steakhouse serves flawless cuisine that’s bold and delicious, and offers an extensive award-winning wine list and a level of service that reminds guests that they’re the boss. Barcelona serves tapas both simple and elegant, using the best seasonal picks from local markets and unusual specialties from Spain and the Mediterranean, and offers an extensive selection of wines from Spain and South America featuring over 40 wines by the glass. bartaco combines fresh, upscale street food and award-winning cocktails made with artisanal spirits and freshly-squeezed juices with a coastal vibe in a relaxed environment. Del Frisco’s Grille is modern, inviting, stylish and fun, taking the classic bar and grill to new heights, and drawing inspiration from bold flavors and market-fresh ingredients. Sullivan’s Steakhouse is a great neighborhood place for a big night out on the town – with outstanding food, hand-shaken martinis, an award winning wine list, and live entertainment all under one roof. For further information about our restaurants, to make reservations, or to purchase gift cards, please visit: www.DelFriscos.com, www.BarcelonaWineBar.com, www.bartaco.com, www.DelFriscosGrille.com, and www.SullivansSteakhouse.com. For more information about Del Frisco’s Restaurant Group, Inc., please visit www.DFRG.com. Wetzel’s Pretzels named Kimberly Smith, a former PetSmart executive, as the company’s new CFO. Smith, who started during the second quarter, will be tasked with driving profitability for the company’s 320 franchises. She replaced Michael Nishi who left the 340-unit chain last year to take on the role of CFO at Southern California-based Lemonade. Prior to joining the Pasadena, Calif.-based pretzel chain, Smith served as PetSmart’s vice president of finance. She spent 11 years at the company in various finance roles. She’s also worked in finance roles for Kimberly-Clark Corporation and PepsiCo. “Wetzel’s Pretzels is a brand that is primed for continued franchise growth thanks to its combination of ease of operation, menu simplicity and fresh-baked offerings that resonate with consumers,” Smith (left) said in a statement. Smith’s hiring comes nearly a year after new company president Jennifer Schuler pledged to focus on improving the bottom line for the company’s franchisees. Better performing stores will help the brand attract new franchise operators. Despite declining mall traffic, sales have remained positive at Wetzel’s, owned by Dallas-based private-equity firm CenterOak Partners. In 2017, the company reported a 1.7 percent increase in same-store sales. The company also is testing sleeker prototype kiosks at upscale malls. Stores at premium mall locations perform even better, Schuler said. Besides destination malls, the operator is adding new inline stores to Walmart and outlet centers. The company recently opened its first location in China. A master franchisee in China plans to open 50 stores in the country. By the end of the year, Wetzel’s is expected to add about 30 new locations. Dickey’s Barbecue Pit, the largest barbecue chain in the world, welcomes recently appointed Senior Vice President of Operations, Kenn Miller, to the Dickey’s family. Kenn brings over 30 years of restaurant operations experience to the team. Dickey’s Barbecue Restaurants, Inc., the nation’s largest barbecue chain, was founded in 1941 by Travis Dickey. Today, all meats are still slow smoked on-site in each restaurant. The Dallas-based family-run barbecue franchise offers several slow-smoked meats and home style sides with ‘No B.S. (Bad Stuff)’ included. The fast-casual concept has expanded to more than 550 locations in 45 states as well as internationally. In 2016, Dickey’s won first place on Fast Casual’s “Top 100 Movers and Shakers” list and in 2018 was featured in the top 10 on the list. Dickey’s Barbecue Pit has also been recognized by Entrepreneur Magazine, Franchise Times, and Nation’s Restaurant News. For more information, visit www.dickeys.com. Brinker International, Inc. (NYSE: EAT) today announced that Kelly C. Baltes has been named executive vice president and president of Maggiano’s Little Italy®. In this role, Baltes will be responsible for overseeing all aspects of Maggiano’s restaurants including strategies for future growth of the brand. Baltes brings more than 30 years of extensive and proven restaurant experience to Brinker, including leadership positions held at Cheddar’s Scratch Kitchen, Red Lobster and Olive Garden. As chairman and chief executive officer of Cheddar’s, Inc., he exemplified inspirational leadership with a commitment to visit every restaurant and meet all management team members in his first 90 days. During his tenure with the brand, he more than doubled its size, built a leadership team, initiated the name change to Cheddar’s Scratch Kitchen and achieved industry recognition as a Nation’s Restaurant News Golden Chain Award winner. Prior to that, Baltes served as executive vice president of operations for Red Lobster where he led the operational and profitability transformation that put the brand at its top performance in almost a decade. Brinker International, Inc. is one of the world’s leading casual dining restaurant companies. Founded in 1975 and based in Dallas, Texas, as of the fiscal third quarter ended March 28, 2018, Brinker owned, operated or franchised 1,686 restaurants under the names Chili’s® Grill & Bar (1,634 restaurants) and Maggiano’s Little Italy® (52 restaurants). Curtis to lead corporate-owned stores throughout the U.S.
Domino’s Pizza (NYSE: DPZ), the largest pizza company in the world based on global retail sales, has named Tom Curtis as its new executive vice president of Team USA. Curtis will lead Domino’s network of 396 company-owned stores across the United States. He will also oversee Domino’s operations innovation and global store training teams. After graduating from Emory University in 1985, Curtis began his career with Domino’s as a store manager in Atlanta, and then became a franchisee in the New Haven, Connecticut area from 1987 until 2006. After franchising, Curtis joined Domino’s corporate as an area leader in 2006. He went on to a variety of leadership positions in the field, including becoming the director of strategic market growth and leading the Seattle “fortress market” program prior to providing operations support as the West region vice president and then vice president of operations support for the U.S. Prior to his current role, Curtis served as vice president of franchise relations and operations innovation. Curtis replaces Stan Gage, who recently purchased 12 Domino’s stores to become a franchisee. Domino’s Pizza (NYSE: DPZ), the largest pizza company in the world based on global retail sales, has named Ms. Patricia E. Lopez and Ms. Corie S. Barry to the Board, effective at the company board meeting July 18. Lopez currently serves as chief executive officer and is on the Board of Directors of High Ridge Brands Co. – a portfolio company of Clayton, Dubilier & Rice and one of the largest independent branded personal care companies in the United States by unit volume – a position she has held since July 2017. Prior to joining High Ridge Brands, Lopez was senior vice president of Estée Lauder from 2015 to 2017, senior vice president of Avon Products Inc. from 2012 to 2015, and held various general manager and global strategy roles at The Procter & Gamble Co. from 1983 to 2012 – most recently serving as its vice president and general manager overseeing its Eastern Europe business. Barry currently serves as executive vice president and chief financial officer of Best Buy Co., Inc. – a specialty retailer of consumer electronics, personal computers, entertainment software and appliances – a position she has held since 2016. Barry joined Best Buy in 1999 and has held a variety of financial and operational roles within the company. Prior to Best Buy, Barry worked at Deloitte & Touche from 1997 to 1999. Michael McHenry, former president of Even Stevens Sandwiches, today announced he left his position as president in early June 2018 to launch a new venture, The McHenry Group. McHenry is a leading Utah restaurateur, known for developing iconic lifestyle brands, disrupting the market place and guiding the restaurant industry by defining new segments. The McHenry Group has identified its first new enterprise, a fast-casual restaurant concept strategically set to open in time for the 2018 holiday season. The details of the new brand will be announced in the coming weeks. The new venture provides performance consulting, restaurant acquisitions and concept creation, already serving new clients and planning for new restaurants. McHenry will support the Even Stevens Sandwiches brand going forward as a consultant. McHenry was awarded the “Golden Spoon” as Restaurateur of the Year by the Utah Restaurant Association in 2018. Over the past decade, industry disruptor Michael McHenry, founder of The McHenry Group, has specialized in brand creation, culture building and restaurant operations, scaling brands from start up to enterprise. McHenry is responsible for the creation of more than 1,500 jobs as well as the opening of more than 50 restaurants. National award-winning concepts under his leadership have changed the course of the restaurant industry. Back Yard Burgers has announced the hiring of Scott Shotter as its new chief executive officer. Axum Capital Partners, Back Yard Burgers’ private equity firm, selected Shotter for his proven track record in operations and success in guest loyalty and team building strategies. Shotter joins Back Yard Burgers from Moe’s Southwest Grill, where he was vice president of operations. While at Moe’s, he helped bring about exponential growth for the brand, which expanded from 200 locations to more than 700 locations during his nine-year tenure. Prior to Moe’s, Shotter managed operations for more than 30 national and regional brands, including Starbucks, Sbarro, Popeye’s, Johnny Rockets and Burger King. One attribute that attracted Shotter to the Back Yard Burgers brand, which boasts 51 locations across 11 states, was its vision for a new restaurant prototype and growth plan to bring its signature fresh, flame-grilled favorites to a new generation of guests. Founded in 1987 in Cleveland, Mississippi, Back Yard Burgers is a better-burger concept that takes pride in its uncompromising commitment to “providing custom, flame-grilled variety with care.” The company’s franchise partners and employees are passionate about offering the freshest ingredients and to serving the same high-quality food and hospitality that they would offer to family and friends in their own backyards. Along with offering made-to-order 100% Black Angus burgers, Back Yard Burgers’ menu also includes a variety of grilled chicken sandwiches, fresh salads, and hand-dipped milkshakes. Today the brand operates 51 locations (28 company owned and 23 franchised restaurants in 11 states). Back Yard Burgers is a strong supporter of Share Our Strength – No Kid Hungry, whose goal is to end childhood hunger in America. For more information visit: www.backyardburgers.com. Fransmart, the leading restaurant franchise development company, has hired veteran business leader Dustin Snyder as Chief Operating Officer. In this newly created position, Snyder will optimize and maximize the company’s franchise marketing and sales productivity, further enhance process automation, and continue to build Fransmart’s team of professionals as the company continues to scale with the very best franchise brands. Dustin Snyder is an analytical sales leader with a passion for strengthening organizations by recruiting, coaching, and retaining industry-leading teams and developing disruptive strategic plans. Execution, however, is his true passion by developing consistent, repeatable, and profitable high-quality customer experiences, both through in-depth analyses and marketing programs that exactly meet the demands of company executives and consumers. The result of these passions has been consistent sales and profit growth in multiple channels ranging from premium consumer goods, fresh foods, commodities, and government regulated items, to franchises, publications, and distribution services. Over his long and successful career, Snyder has developed a knack for creating high performance sales and managerial teams, many of which have gone on to lead major companies at the executive level. As Fransmart’s new Chief Operating Officer, he will use these experiences and passions to build upon the company’s existing sales and marketing machines and streamline their internal operations to function in the most efficient and profitable way possible. Fransmart Welcomes New Chief Operating OfficerFransmart is the global leader in franchise development, turning emerging restaurant concepts into national and global brands for over 20 years. Company founder Dan Rowe identified and grew brands like Five Guys Burgers & Fries, The Halal Guys, and Qdoba Mexican Grill from 1-5 unit businesses to the powerhouse chains they are today. Fransmart’s current and past franchise development portfolio brands have opened more than 3,000 restaurants in 45 states and 35 countries. Fransmart and their partner brands are committed to franchise development growth—as of 2017, more than 1,000 new restaurants are in development across their current portfolio. Blaze Fast-Fire’d Pizza, the recognized world leader in fast artisanal pizza, today announced that it is adding 30 new franchise partners to its current group of 55 multi-unit franchise developers. The fast-casual pizza chain, known for its chef-driven recipes and hip, modern restaurants, also announced the appointment of Carrie Sams as vice president of franchise development. The company, with its nationwide footprint established and 300th restaurant opening soon, is expanding its team and accelerating its growth rate. Ms. Sams joins Blaze Pizza from Jamba Juice where she most recently served as senior director of franchise development for the past 10 years. Ms. Sams experience spans both domestic and international franchise development, along with significant experience in developing non-traditional channels. Both announcements coincide with the release of 45 target areas around the country that are each capable of holding three to 10 Blaze Pizza restaurants. In her new role, Ms. Sams will be focused on recruiting the 30 new franchise partners and activating development in the 45 new areas. Beginning in September, Blaze Pizza will be hosting market level meetings around the country to help franchise candidates get familiar with the opportunity at Blaze Pizza. The meetings will be held in Dallas, El Paso, Houston, Cleveland, Indianapolis, San Francisco, Baltimore, Philadelphia and northern Virginia. Interested operators can get more information by contacting Ms. Sams at carrie.sams@blazepizza.com or Ms. Canady at carolyne@blazepizza.com. Domestically, Blaze Pizza currently has restaurants open in 40 U.S. states. Additionally, the company has seven locations in Canada, and plans to add 11 new sites in 2018, including 3 new locations in Vancouver. This year, Blaze has seen record sales in its first Middle East locations in Kuwait and Saudi Arabia through a partnership with M.H. Alshaya Co. Recently named the #1 “Brand of the Year” in the Fast Casual Top 100, Blaze Pizza has built momentum and developed a cult-like following as it expands across the country. Founded by Elise and Rick Wetzel (co-founder of Wetzel’s Pretzels), the concept is backed by private equity firm Brentwood Associates and founding investors that include LeBron James, Maria Shriver, movie producer John Davis and Boston Red Sox co-owner Tom Werner. For more information, please visit blazepizza.com and facebook.com/blazepizza or click here to view a company video. 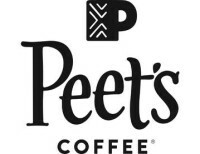 Peet’s Coffee®, The Original Craft Coffee®, today announced the appointment of Kenneth C. “Casey” Keller Jr. as chief executive officer, effective August 6, 2018. Casey will succeed Dave Burwick, who had served as chief executive officer of Peet’s Coffee since 2012. Until recently, Mr. Keller served as global president of the Wm. Wrigley Jr. Company, a subsidiary of Mars, Inc., where he was responsible for delivering sales and profit growth across the global gum, mints and candy business. He joined Wrigley in 2011 as president of Wrigley North America and later assumed responsibility for Wrigley Americas. In the United States, the company’s largest global market, he led a turnaround of the Wrigley business, delivering growth well above the industry average. During the integration of Wrigley into Mars, Keller helped establish the global business units and strategy for the combined Mars-Wrigley confectionery business. Prior to joining Mars, Keller served as president of Alberto Culver USA. He has also held senior roles with Procter & Gamble, HJ Heinz and Motorola, and was an officer in the United States Navy. Keller is an avid coffee drinker, loves Peet’s and early in his work life was store manager for the largest volume pizza restaurant in the United States. He currently serves on the Board of Directors for Cott, Inc., Winona Capital and the nonprofit City Year Chicago. Peet’s Coffee® is a U.S. specialty coffee company founded by Alfred Peet in 1966 in Berkeley, California. Mr. Peet grew up in the coffee trade and moved to America from Holland after World War II. His coffee style was unlike anything Americans had ever tasted before—small batches, fresh beans and a superior quality roast that is rich and complex. Mr. Peet’s influence on the artisan coffee movement inspired a new generation of coffee entrepreneurs, including the founders of Starbucks. Today, Peet’s upholds its commitment to delivering a premium product by continuing to source the world’s best beans, hand-roast in small batches, and craft every beverage by hand. Peet’s also asserts a strict standard of freshness to ensure optimum flavor with a team that personally vets the freshness date on every bag and on every ready-to-drink coffee (RTD) available at over 16,000 grocery locations. Peet’s is dedicated to growing its business through its retail, grocery, wholesale and e-commerce channels while maintaining the superior quality of its coffee and RTD beverages. Peet’s is also proud of its status as the first LEED® Gold certified roastery in the United States. For more information, visit www.peets.com. Stay connected to Peet’s: @peetscoffee on Twitter and Instagram and facebook.com/peets. Slim Chickens, the fast-growing “better chicken” franchise has already had a monumental year including the launch of online ordering and a new loyalty app, and the opening of the brand’s first location in London. To build on the positive momentum and cultivate a proactive, strategic growth plan, Slim Chickens is excited to announce the hiring of Jackie Lobdell as the Executive Director of Franchise Development. Lobdell is a multi-year award winning sales professional with over 25 years of experience, most recently serving as director of franchise development for Focus Brands, where she spearheaded the growth of McAllister’s Deli through recruiting, awarding and onboarding new franchisees. During her tenure, Lobdell assisted McAllister’s Deli in expanding its franchise system to more than 400 restaurants in 28 states, largely through multi-unit partners. In 2017 Lobdell was named Sales Person of the Year for Focus Brands. Since the beginning of the Slim Chickens journey in Fayetteville, Arkansas, with the first restaurant opening in 2003, Slim Chickens has enjoyed tremendous growth. Now with 72 locations open in 14 states and international locations in Kuwait and London, and an additional 250 units in the development pipeline, Slim Chickens is well on its way to achieving its goal of 600 restaurants by 2025. “Greg [Smart] and Tom [Gordon] started Slim Chickens in a garage and have grown the brand at record pace. This path to growth is truly inspiring to me and makes it easy to believe in the brand and tell its story to potential franchisees. I am so excited to be part of the brand’s strategic efforts to grow on a national and international level,” said Lobdell. Slim Chickens opened in 2003 in Fayetteville, Arkansas, with a focus on culinary excellence in a fast-casual setting. Guests can always expect fresh chicken tenders and wings cooked to order and served with housemade dipping sauces made from scratch. With more than 70 locations today and a fanatical following in 13 states, the eternally cool brand is an emerging national franchise leading the “better chicken” segment and intends to grow nationwide to a footprint of 600 restaurants over the next decade. Southern hospitality is not just for the South; everyone, everywhere can appreciate honest food and socializing with friends and neighbors. To learn more about the brand, visit slimchickensfranchise.com. FoodFirst Global Restaurants, Inc., the owners of polished upscale casual dining brands BRIO Tuscan Grille™ and BRAVO Cucina Italiana™, today announced it has assembled a world-class culinary team dedicated to offering the Italian Mediterranean Way of Dining. The company will significantly improve the quality and sustainability of its ingredients; the simplicity and authenticity of its Italian recipes; the freshness and amazing taste of its food; and in so doing, also provide food that is better-for-you and better-for-the-environment. This is consistent with FoodFirst Global’s mission of providing Good Food for the Planet™. The company has named John Imbriolo, a dynamic and innovative Italian Chef and accomplished Restaurant Executive, to lead the culinary team as Chief Culinary Officer. Imbriolo will work closely with Owner-Partner, Chairman and CEO, Brad Blum as well as Chief Operations Officer, Bob Mock, who will also head up Training. Together, this team will make it their priority to provide high quality Italian Mediterranean food that is consistent and tastes amazing each time a guest visits one of the company’s 110 restaurants. “We are on a mission,” said Brad Blum, owner-partner, Chairman & CEO of FoodFirst Global Restaurants, Inc. “FoodFirst is the name of our new company for a reason. Our entire organization, including importantly our partners at GP Investments, is aligned and passionate about having the best food in all of Italian casual dining. What I truly love is helping people do things they didn’t believe were possible— and doing it as a team to delight our guests,” Blum emphasized. Debbie Allison will serve as SVP of Global Supply Chain. Also joining the new team, Allison will work closely with Blum and Imbriolo on FoodFirst’s culinary strategy of sourcing the best ingredients for its chefs and restaurants. She has been a long-time executive in purchasing, previously sourcing high quality and sustainable ingredients for the specialty brands of Darden Restaurants including Season’s 52 and Capital Grille. She has served as the Director of Supply Chain for Red Lobster, specializing in sustainable seafood. Allison, who is also familiar with suppliers in Italy, will source the best stone-pressed extra Virgin olive oil and the best Italian pastas, along with her skill and passion of sourcing high-quality Italian wines. In the United States, she will focus on sourcing the freshest plant-based ingredients and highest quality seafood, which are critical to the Italian Mediterranean Way of Cooking. Angelo Landi will serve as VP of Culinary Operations. Also joining the new team, Landi’s main area of focus will be upgrading the open kitchens for each restaurant and working closely with both the culinary team at the Restaurant Support Center and with each Executive Chef at the company’s 110 BRIO and BRAVO restaurants. Landi, is first and foremost a chef, who created, owned and operated his own restaurant for many years, so he knows what it is like to be ‘close to the action’. He also has meaningful experience with multi-unit operations, having held high-level culinary positions at Maggiano’s, Ruth’s Chris and most recently, at True Foods. Landi will set the BRIO and BRAVO restaurant teams up for success with well-designed and well-run kitchens. Brian Harvey will serve as Director of Culinary Innovation at BRAVO. Chef Brian has degrees in both the culinary arts and the pastry arts and has been creating innovative Italian food for the company over the past twenty years. His key priority going forward is to bring more freshness and simplicity to the BRAVO menu. Alison Peters will serve as Director of Culinary Innovation at BRIO. Chef Alison has held key culinary roles in New York and New Orleans before joining BRIO where she has been an integral part of developing various menus. Her key priority going forward is to make BRIO’s menu higher quality and more upscale. The Amalfi Coast will serve as Authentic Inspiration for BRIO and BRAVO. The Italian Mediterranean lifestyle is exemplified in no better place than the Amalfi Coast of Italy. Antonio Bonchristiano and his wife Patricia have a house on the Isle of Capri which has been in Patricia’s family for over 200 years. However, during that time, the Mediterranean Diet has never changed. Blum, Imbriolo and Allison, who visit Italy regularly, as well as the entire culinary team who each plan to visit there, will benefit from increased access to local ingredient suppliers, local Italian chefs and local restaurateurs along the Amalfi Coast. This will help BRIO and BRAVO deliver a guest experience in their restaurants that more closely mirrors the authentic culinary tradition from this beautiful region of Italy. Pam Smith will serve as a key nutrition, wellness and menu advisor. Smith, an internationally recognized nutrition expert, has reconnected with Blum and passionately supports his vision at FoodFirst Global Restaurants. She is the author of several best-selling books including Eat Well, Live Well, a popular TV and radio host and is a wellness and menu coach to legendary professional athletes. Her work with executive culinary teams for hospitality and restaurant brands includes Hyatt Hotels and Resorts, the Walt Disney Company and Darden Restaurants, where she was the co-creator of Bahama Breeze and Seasons 52. She has hosted all 22 years of the Epcot International Food and Wine Festival and co-chairs The Culinary Institute of America’s Healthy Menu R&D Collaborative. Smith will advise the FoodFirst Executive Team, and the Culinary Teams at BRIO and BRAVO, respectively. FoodFirst Global Restaurants, Inc.™ is a collaboration between restaurateur/owner-partner Brad Blum and GP Investments, Ltd. At FoodFirst Global Restaurants, we are building a platform to own a variety of brands and businesses. The mission for each of these brands and businesses is to provide Good Food for the Planet. We are passionate about good food, know good food, enjoy good food, and are dedicated to always improving upon and consistently providing good food. For more information, visit www.foodfirst.com. Good Food for the Planet™ is a philosophy created by Brad Blum with five defining pillars for the way restaurant food should be: 1. Exceptionally GOOD tasting; 2. Remarkably GOOD for you; 3. You feel GOOD afterwards; 4. A GOOD everyday value; 5. GOOD for the environment. BRIO Tuscan Grille™ and BRAVO! Cucina Italiana™ have been positioned as multifaceted culinary destinations that deliver the food quality, service, ambiance and design elements reminiscent of fine dining restaurants, but at a value typically offered by casual dining establishments. Fresh flavorful ingredients and authentic Italian cooking methods are combined with attentive service in an attractive, open and lively atmosphere. The group strives to be the best Italian restaurant company in America by focusing on providing its guests with a consistently excellent dining experience. GP Investments, Ltd. is a leading alternative investment firm. Since its founding in 1993, GP Investments has raised $5 billion from investors worldwide and has completed investments in more than 50 companies and has executed over 20 equity capital market transactions. GP Investments has a consistent and disciplined investment strategy targeting established companies that have the potential to grow and be more efficient and profitable by becoming leaders in their industries. Since 2006, GP Investments has been listed on the Brazilian Stock Exchange (B3 S.A. – Brasil, Bolsa, Balcão) under the ticker symbol GPIV33 and on the Luxembourg Stock Exchange. The firm currently has offices in São Paulo, London, New York, and Bermuda. For more information, visit www.gp-investments.com. Papa John’s International, Inc. (NASDAQ: PZZA) today announced that the independent directors of the company have accepted the resignation of John H. Schnatter as Chairman of the Board. Olivia Kirtley acts as the company’s Lead Independent Director. Papa John’s will appoint a new Chairman of the Board in the coming weeks. Dunkin’ Brands Group, Inc. (Nasdaq: DNKN), the parent company of Dunkin’ Donuts (DD) and Baskin-Robbins (BR), today announced that David Hoffmann, 50, has been appointed Chief Executive Officer, effective immediately. He will also serve on the Company’s Board of Directors and remain President of Dunkin’ Donuts U.S. The members of the Dunkin’ Brands Leadership Team will now report to Mr. Hoffmann who is succeeding Nigel Travis, 68. Mr. Travis is retiring from the role he has held since January 2009. With more than 20,000 points of distribution in more than 60 countries worldwide, Dunkin’ Brands Group, Inc. (Nasdaq: DNKN) is one of the world’s leading franchisors of quick service restaurants (QSR) serving hot and cold coffee and baked goods, as well as hard-serve ice cream. At the end of the first quarter 2018, Dunkin’ Brands’ 100 percent franchised business model included more than 12,500 Dunkin’ Donuts restaurants and more than 7,900 Baskin-Robbins restaurants. Dunkin’ Brands Group, Inc. is headquartered in Canton, Mass. Fork & Salad, the Maui-based fast casual eatery specializing in healthy options and local Hawaiian flavors, has promoted longtime employee Lauren Mann to the brand’s inaugural Director of Operations and Director of Franchisee Management. In the newly created position, Mann will oversee the daily operations of all Fork & Salad locations, both currently existing and upcoming, and provide new franchisees with the tools they need to develop, open, and operate their Fork & Salad franchised stores. Mann has spent the last four years working alongside Fork & Salad owners Jaron Blosser, Travis Morrin, and Cody Christopher at their full-service restaurant concept, Three’s Bar and Grill. She was first hired as a restaurant manager, quickly working her way up to the corporate management level. When looking to hire a Director of Operations and Franchisee Management for the budding Fork & Salad franchise, they promoted Mann from within to fill the position. Founded in 2016, Fork & Salad was built with the purpose of helping to make farm-to-table cuisine as healthy, convenient, and affordable as possible. The menu, which proudly boasts 50+ locally grown ingredients, features a wide variety of healthy offerings such as sandwiches, salads, build-your-own options, and healthy beverages like housemade teas and organic kombucha. The Maui-based concept is committed to serving and supporting the island’s local residents and businesses, which it does by employing over 40 locals and sourcing ingredients from more than 25 Maui-based farmers and suppliers whenever possible. Fork & Salad is partnered with Fransmart, the industry-leading franchise development company behind the success of household concepts like The Halal Guys and Five Guys Burgers & Fries, as its exclusive franchising partner to grow the brand. 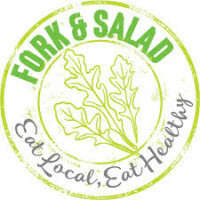 Founded by chef-owners Jaron Blosser, Cody Christopher and Travis Morrin in 2016, Fork & Salad is a locally-sourced, chef-inspired salad company with a mission to redefine the possibilities of farm-to-table cuisine as healthy, quick, convenient, and affordable so it can be enjoyed every day by everyone. The Fork & Salad vision to expand the farm-to-table movement to all parts of Hawai’i and beyond includes supporting local farmers, ranchers, and fishermen to boost the local economy, while also making their healthy and sustainable cuisine accessible to all consumers. The health-forward concept was named “Best New Restaurant in 2017” by Maui Time, recognized for its exquisite and affordable health fare and dedication to the local economy and people. Visit www.forkandsaladmaui.com for more information. Fransmart is the global leader in franchise development, turning emerging restaurant concepts into national and global brands for over 10 years. Company founder Dan Rowe identified and grew brands like Five Guys Burgers & Fries and Qdoba Mexican Grill from 1-5 unit businesses to the powerhouse chains they are today. Fransmart’s current and past franchise development portfolio brands have opened more than 3,000 restaurants in 45 states and 35 countries. Fransmart and their partner brands are committed to franchise development growth – as of 2015, over 1,000 new restaurants are in development across their current portfolio.